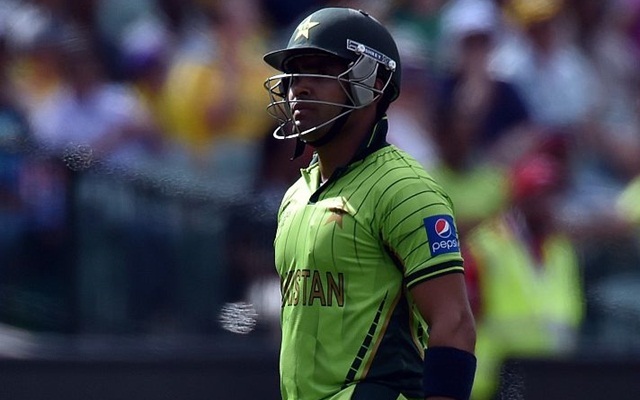 Akmal recently made a comeback to the Pakistan national team. When it comes to facing online trolls, Pakistan batsman Umar Akmal definitely knows a thing or two. Time and again, the right-handed batsman has hogged the limelight for all the wrong reasons. Whether it is his poor communication skills, tweets or his absurd statements, Akmal definitely has a knack of giving others a chance to make fun of him. Well, his recent goof-up is as hilarious as it can get. After 26 games in UAE, the ongoing edition of the Pakistan Super League is now all braced up for its Pakistan leg. A total of eight games of the league – four in the league stages and four in the playoffs including the final, will be played in Pakistan. Initially, the games were divided between Lahore and Karachi. However, later all the games were shifted to Karachi in the wake of the recent political tension between India and Pakistan. And with the fans excited to see their beloved teams playing in front of them, Akmal tried to increase their excitement by posting a video message which eventually backfired. The right-hander, who is plying his trade for Quetta Gladiators, was promoting the league on social media but ended up making a mockery of it as instead of saying PSL he ended up saying IPL before correcting the mistake. “Zaahir si baat hai Quetta ki team Karachi aayi hui hai aur hum apne home ground pe khel rahe hai, aur crowd jitna bhi support karega humari team ko, team utna accha perform karegi. Aur crowd issi tarike se har team ko support karega toh agla IPL (corrects), sorry PSL yahi pe hoga [It is obvious that with Quetta at home in Karachi, we will be banking on our home support. As many people come out and support us, the better our team will perform. If the crowd continues to support us like this then the next IPL, sorry PSL, will be played here only],” he said. Akmal, meanwhile, has returned to the ODI team for the upcoming five-match series against Pakistan, starting on March 22 in the UAE. He has not played for Pakistan since 2017. He had lost his place earlier when he was involved in a public spat with head coach Mickey Arthur which led to a three-match ban and a PKR 1 million fine. However, some impressive outings in the ongoing league helped him earn a recall just days ahead of the World Cup.